Gerynant near New Quay sleeping 7 with Wi-Fi. This 3 bedroom pet-friendly unspoilt Victorian Cottage offers a charming mix of the traditional and the modern with period furniture, central heating and Wi-Fi. Set in the tranquil hamlet of Nanternis with a wild garden and stream, it is just a few miles from New Quay. A delight for bird lovers and walkers. One well behaved pet is welcomed. 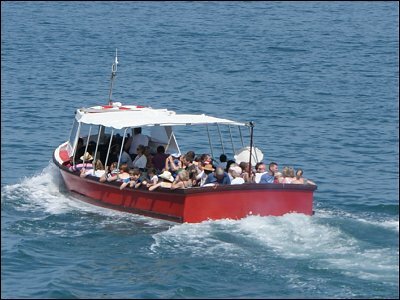 Accommodation: The sitting room has comfortable sofas, and a 32 inch flat screen TV with DVD player and video recorder. There is a separate dining room seating seven adjacent to the kitchen. The well equipped kitchen has an electric oven with ceramic hob and extractor hood, dishwasher, fridge / freezer, microwave and all the usual small appliances. There is a washing machine and dryer, ironing table, iron etc in the utility room on the lower ground floor. There is also a toilet downstairs. The house has oil central heating with radiators throughout and also a wood burner in the lounge (fuel not provided). Upstairs: There are three bedrooms. At the front of the house are two double bedrooms and another bedroom with three single beds. The third bedroom is suitable for children with limited headroom and is entered via the second double bedroom. Bed linen is provided, but not towels and guests must bring their own. Outside: there is a second patio for al fresco meals close to the kitchen. The garden is tiered and steeply sloping, and may not be accessible for persons with mobility problems or young children. The upstairs family bathroom has a bath with shower over, WC and washbasin. Two travel cots and a highchair are available. Parking - There is private off road parking close to the cottage for 2 small cars or one larger car. Bed linen supplied, but not towels. Electricity and heating is inclusive. One well behaved pet welcomed, but it must not be allowed on the furniture or in the bedrooms. Close to the footpath leading to the 'secret beach' and the coastal path. Two travel cots and a highchair are available - cot bed linen not included. 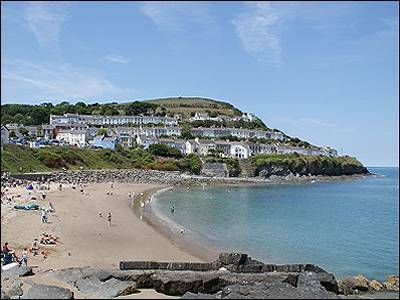 New Quay - or 'Cei Newydd', with its picturesque harbour and houses has a good selection of pubs and restaurants and clings to the sides of the hills rising above the blue waters of Cardigan Bay on the coast of West Wales. New Quay’s stone pier has been standing for almost 200 years and is one of the best places to see the Bottlenose Dolphins for which Cardigan Bay is famous. 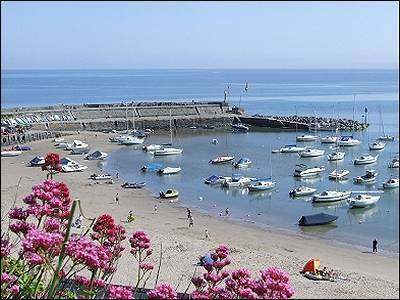 The sheltered harbour and safe beaches are the focus of activity in the summer when New Quay becomes a bustling and vibrant holiday resort where boat trips, sailing, fishing, water sports and relaxation, are among the main attractions. 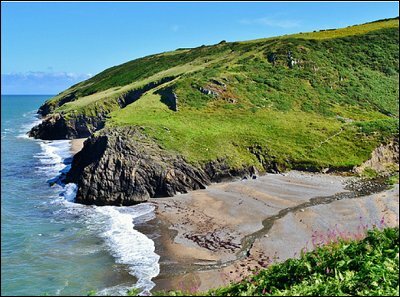 The local area has much to offer with the safe and sandy beaches of Llangrannog, Tresaith, Penbryn and Mwnt just a short drive away.